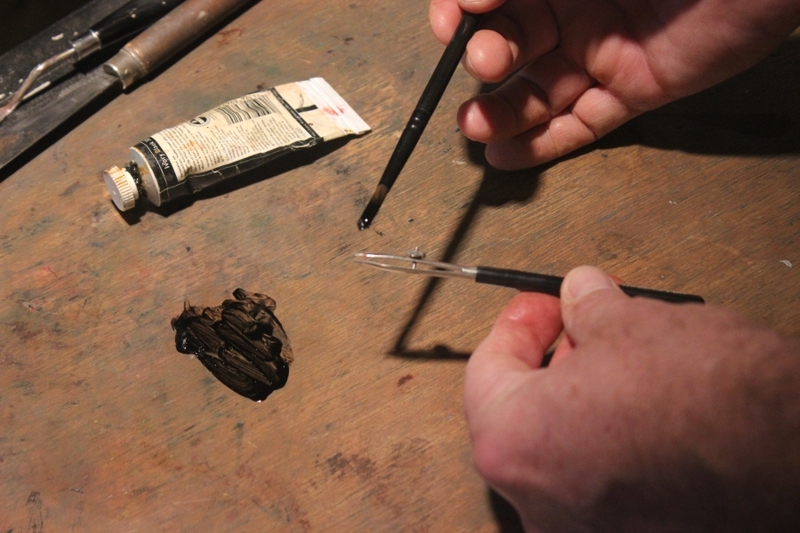 The ruling pen, how to use it to make fine straight lines in oil paintings. 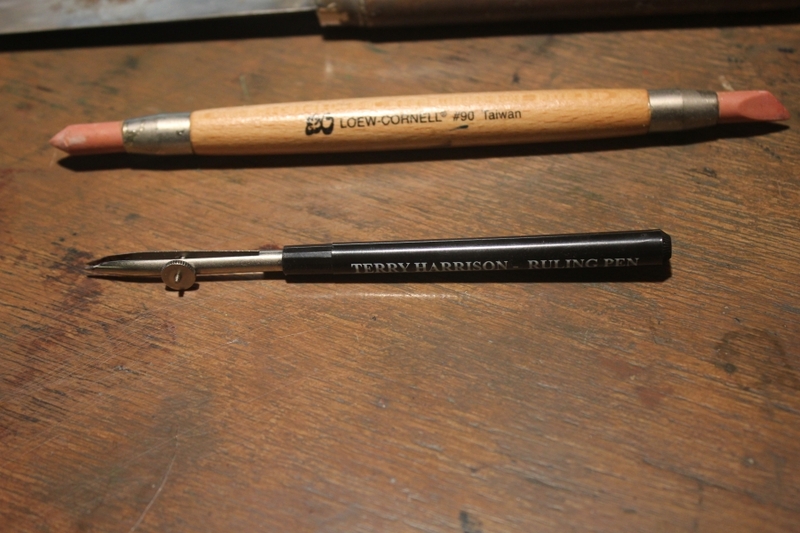 The Ruling Pen, your secret weapon in your arsenal to conquer the straight line. 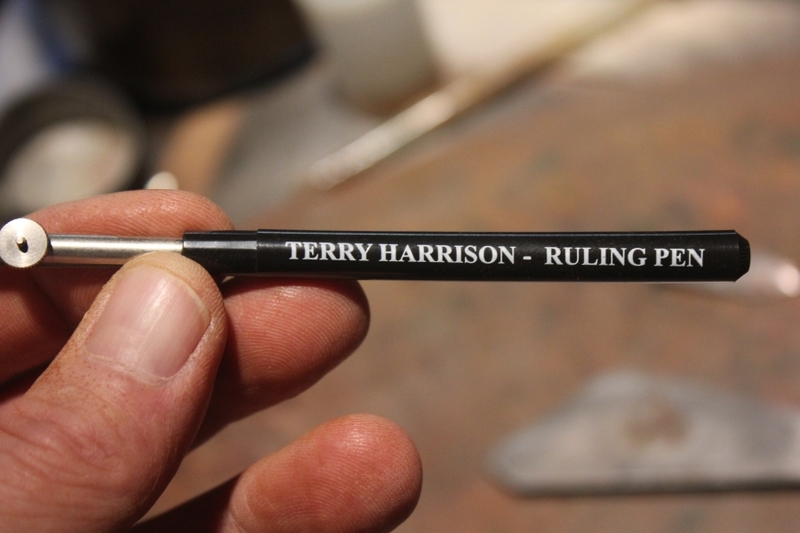 What the heck is a ruling pen, you ask? So, you've decided to try an architectural style painting that includes a large number of long straight lines within it. 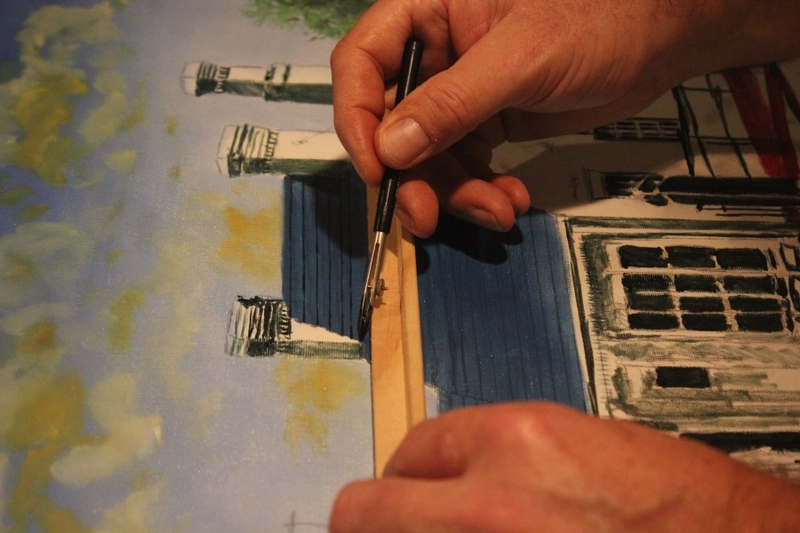 (Buildings, streets, brickwork on the side of a building that you are painting, etc.) 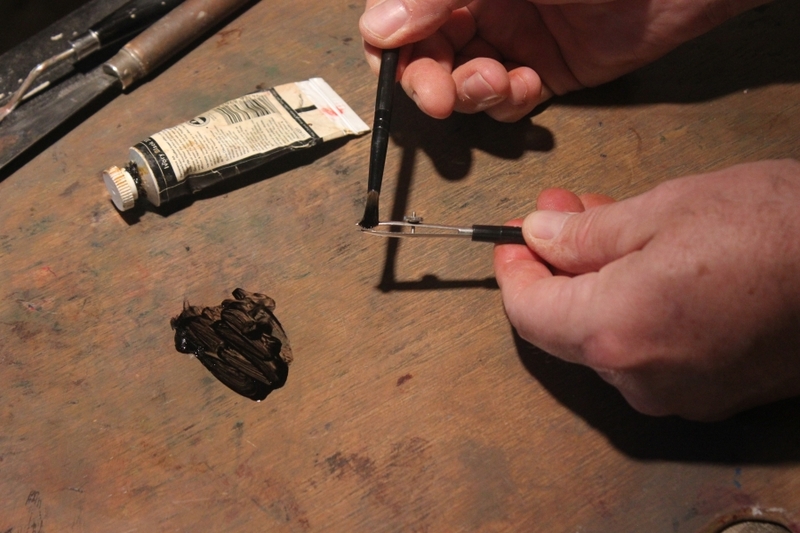 You go out and buy that super long liner brush, make that soupy paint mixture, and lay in the line across the canvas. Bummer. You see variations in the thickness of the line, you see that it isn't very straight either. You then pull out a ruler or some other straight edge to lay the brush against and guide you. Trying again, you find the paint has wicked under neath the straight edge and you still have problems with a uniform line thickness and a big mess where the ruler was. The ruling pen will solve these problems. 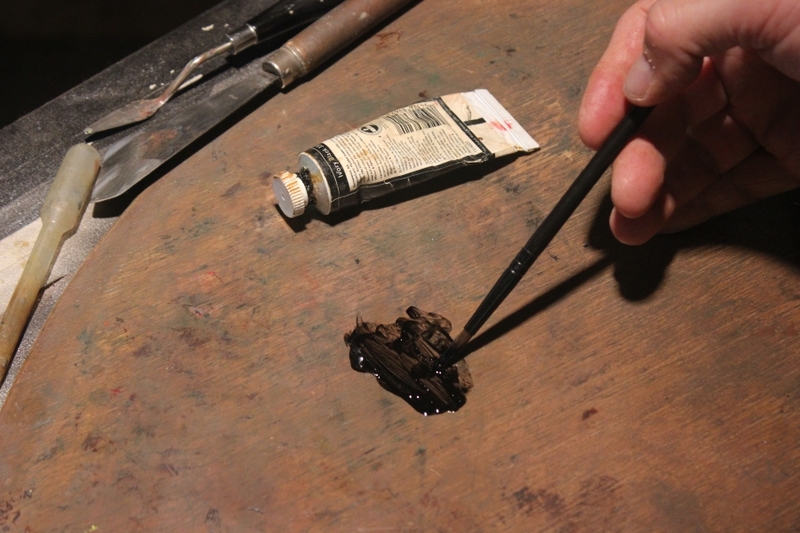 Below, you see 2 of my secret weapons I use in oil painting. The top pictured is for wiping out oil paint for a nice line (I use it for veins in the rose petal) The bottom pictured is my ruling pen, used for drawing a nice straight line on an oil painting using oil paint! Here's the brand name, I purchased mine from Amazon.com and including shipping was less than $20. The price of a well made brush. 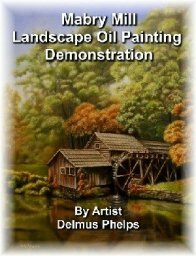 I prepare my soupy paint, using medium and low odor mineral spirits, the paint is rolled up into the brush so that the brush is fully loaded. 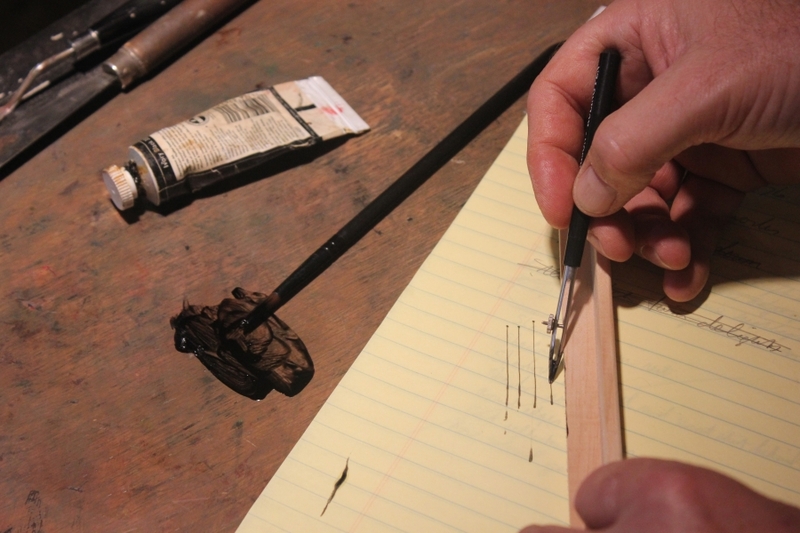 Scrapping the brush (and paint) across the side of the pen, I load the pen with my paint. In the photo above, the pointers are spread far apart so that you can see them. I now adjust the knob to close it up to the desired width of the line that I want. I hold my paint brush in the same hand. 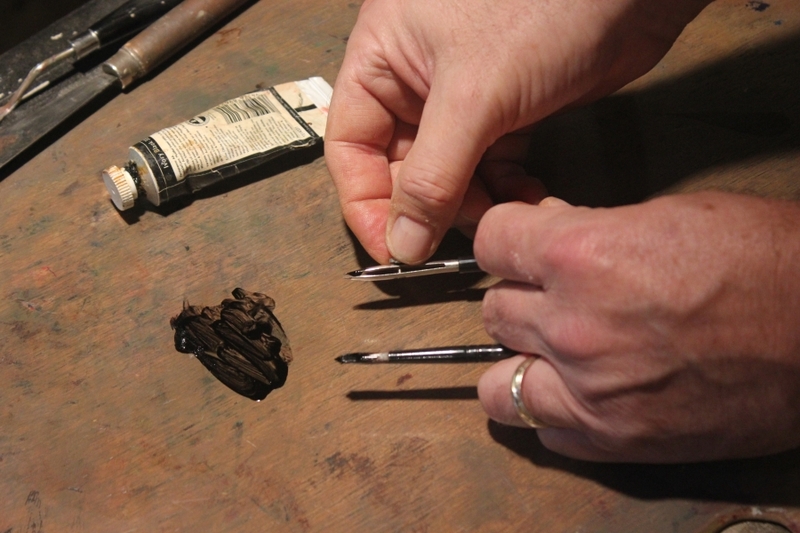 Using the Ruling Pen in the painting. I grab a piece of scrap paper and make a few lines to test it's thickness. Notice this. Any straight edge will work, but the taller it is, the better. 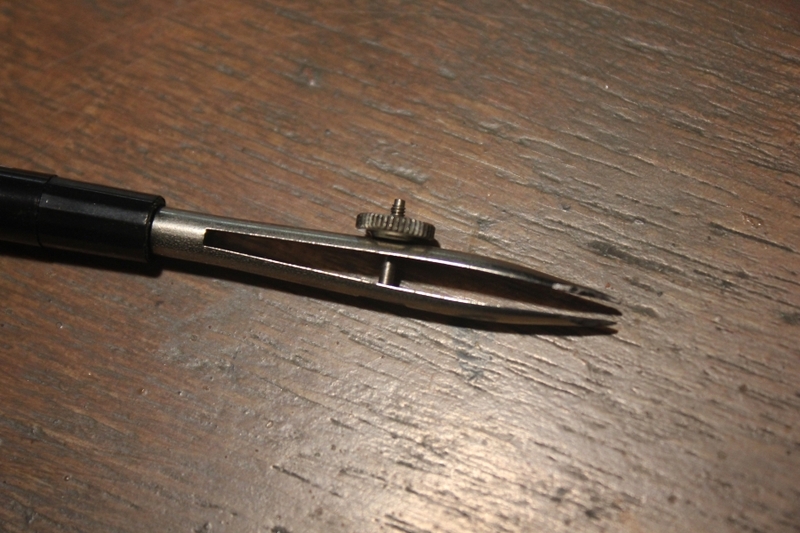 I rest the side of the pen on the edge, but the point is well away from the edges surface. This eliminates any wicking of the paint underneath the straight edge. And in this photo, you see me laying down some pretty nice lines that will be the edge of roofing tiles on this historic Lynchburg landmark eatery. As the painting comes along, (some various brick work that will need lining) I'll include them here too. But for now, I thought I'd get this info into your hands so you can try using it in your own paintings!